What determines our financial worth? Do we compute it in terms of dollars, or possessions, or investments? 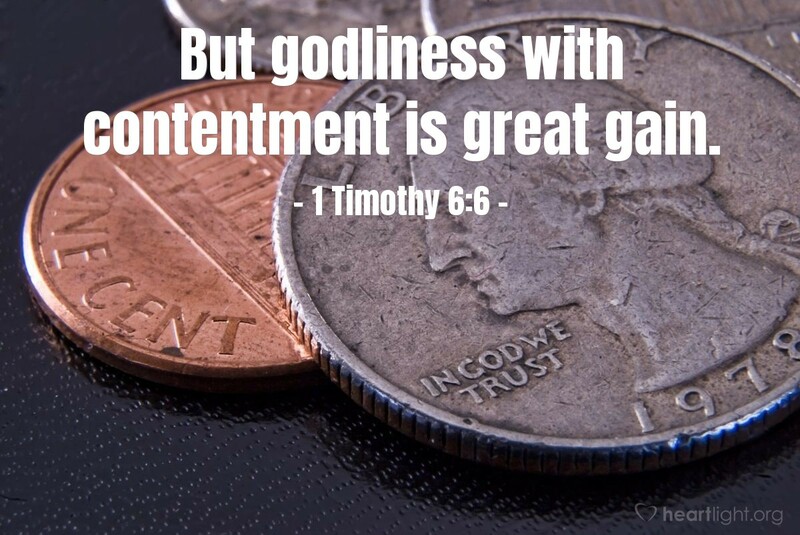 Paul reminded Timothy that ultimate gain, the gain of inestimable value, is really determined by a very simple formula: net worth = (godly character) X (contentment). What would happen if we recognized the truly wealthy as those who were godly in their character and contented with their blessings in life? O LORD God, the one from whom every blessing flows, readjust my values from the greed of this world to a holy set of financial convictions. Conform my character to the godliness that Jesus demonstrated in his daily life. Teach me the contentment that can only be found in you. In Jesus' name I pray. Amen.